Enormous, deep-magenta flower heads that make a real impact! Each multi stemmed plant bursts with vibrant colour May to June each year. Grows to 1m (3ft) tall with flowers up to 20cm (8 inches) across! Perfect for pots, containers or borders. Displays get bigger and better each year. Pack of 2 bulbs, ready for planting. Size 18/20. 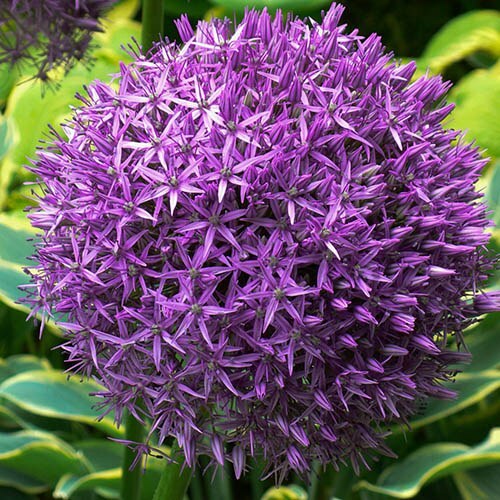 Allium Globemaster is a fantastic plant with enormous, deep-magenta flower heads that grow up to 20cm (8in) across, bursting with vibrant colour from May into June each year. Growing to 1m (3ft) tall, each of these bulbs will look great in pots or borders and will thrive and form a multi-stemmed clump in any garden. Coming back year after year with bigger and better flowers, the stems last really well once dried too.